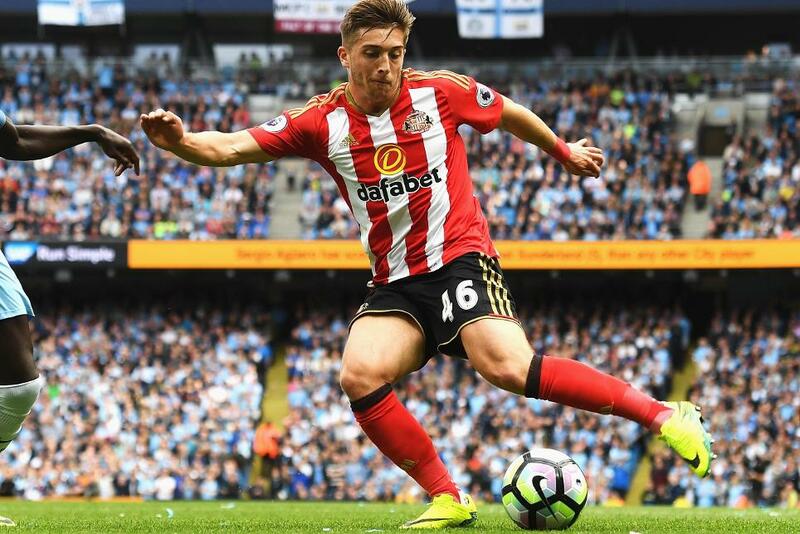 He swapped the sun-kissed beaches of Santa Cruz, California, for the windswept training pitches of Wearside but, having broken into the Sunderland first team, Lynden Gooch could not be happier. "It is an amazing place to play," the 20-year-old told NBC Sports. The son of an English father and an Irish mother, Gooch fell in love with football at an early age. He grew up idolising Landon Donovan and Wayne Rooney, from afar, and in 2012, aged 16, travelled 5,000 miles to pursue his Premier League dream. The midfielder has been rewarded for his leap of faith. After winning the Under-21 Player of the Month award in September last year, he has moved up to the first team this season, making six Premier League appearances under David Moyes, and earning his first call-up to the US national squad. "I've always wanted to be a Premier League player and I've always wanted to play in England," said Gooch, who signed his first professional contract, a three-year deal, in April. "I'm English, you know? "I'm Irish as well. I've got so many family members over here and it has always been a dream to play in this league." Gooch has impressed with his pace, athleticism and his mastery of the ball with both feet and he believes he has an inventive side that is reminiscent of Rooney. "I like to create things," he said. "I like to hit long balls. I like to switch the play. I think I've got a bit of everything. "I've got that long ball in me and I can play the simple pass but I can dribble past someone and I've got a bit of pace. "I just try to give as much as I can and be creative and add some flair. I just want to be a positive player and make sure I can make an impact going forward." Gooch was speaking to NBC Sports' Joe-Prince Wright (JPW_NBCSports).